What is the best of Spain? That's obviously an impossible question to answer, so let's break it down into a few categories. First up, Spain's best cities. Spain's best museums, some excellent day trips, great nightlife and so much more. 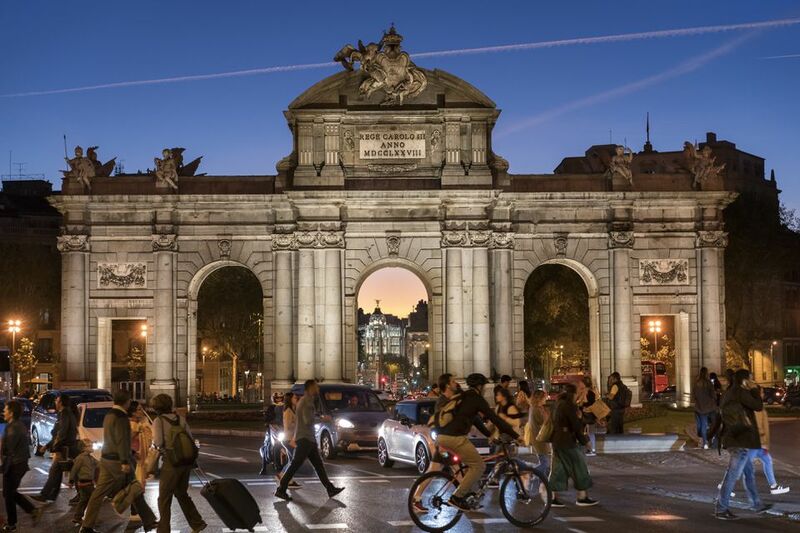 It may not have the wow factor that Barcelona has, but you’ll never get bored in Madrid. Because, Barcelona! Does Spain’s most famous city need an introduction? Gaudi architecture, the Gothic Quarter, a burgeoning craft beer scene and so much more. The jewel of Andalusia. The sounds of flamenco float out from the balconies as you sit eating tapas in the famous Barrio Santa Cruz. Two things: The Alhambra and Spain’s best tapas culture, where you get a tapas with every drink, for free! Spain’s best beach town, San Sebastian turned pintxos (Basque tapas) into high art. Cities are great, but if you're not after a city break, you prefer to pick your destination based on what the region is like. Seville, Granada, and Cordoba are all in ​Andalusia. Add to that sherry from Jerez, the beautiful city of Cadiz, and the pueblos blancos (white villages) such as Ronda and you need never leave the region! Stretching into the neighboring regions of Castilla-La Mancha and Castilla y Leon, you have Segovia, Toledo, Consuegra, and Avila all a day trip from Madrid. Explore some of Spain’s best small cities and be back in time for tapas. San Sebastian and Bilbao are the major cities here. But add to that some great surfing, excellent wines (both in the Basque Country and a day trip away in La Rioja) and you have something quite fantastic. Simply by being home to Barcelona, Catalonia warrants a place on this list. But add in Figueres, with its Dali Museum, the Montserrat mountain, and the Pyrenees and you have a region well worth exploring. Green, green Spain! Home to Santiago de Compostela (to which thousands of pilgrims every year walk 800 miles on the Camino de Santiago. Tapas is not a type of food but a way of eating it: Small portions, normally accompanied by a drink. After that - there are no rules! In some cities, the tapas are given away for free with every drink, in others, the food looks more like molecular gastronomy than a bar snack. Where? Seville, Granada, or San Sebastian. Flamenco is not 'a dance'. It's a complete art form that involves singing, guitar, handclaps. and, sometimes, dancing. Some might say flamenco has the power and emotion of opera, the melancholy of blues, and the rawness of punk. You don't know what flamenco is until you've seen it. Where? Preferably Seville or Granada, but Madrid or Barcelona has some good shows too. Catalan modernism is a Spain's Art Nouveau, a fin de siecle art movement that is best observed in the fascinating architecture of Barcelona. The Museo del Prado, the Reina Sofia, and the Thyssen-Bornemisza are three of the best art museums in Spain, nay, in the world, and they're all within a few steps of each other. Tomatina, Pamplona Running of the Bulls, Las Fallas... Spain has a wealth of famous festivals, as well as hundreds of smaller fiestas (virtually every village has one a year). Las Fallas has it all. In addition to the usual street food, music, and daytime drinking, there's fireworks, a religious element, and events happening at all hours of the day (including an early morning firecracker wake-up call. Some people think its a good idea to run in front of a herd of angry bulls. Others think it's a good idea to watch people run in front of angry bulls. Easter in Spain is such a big deal, it lasts a whole week. The vibe at Semana Santa can differ hugely depending on which city you are in: from the hushed sobriety of Toledo to the passion of Seville. After Semana Santa is over, the sevillanos let their hair down with their big fiesta of the year. Also known as the Feria de Abril, even though it doesn't always take place in April. Paella, of course - but what else? And what exactly is 'tapas'? Spain's most famous dish is often misunderstood. For a start, the most traditional version has no seafood in it. Crazy, huh? Not a type of food exactly, but a way to eat it. Tapas is all about small portions, preferably eaten standing up, with a drink, as part of an evening of bar hopping. 'Tapas restaurants' around the world that serve you ten little dishes on a single plate are not serving tapas. Spanish wine, particularly the red, is some of the best in the world, and a lot cheaper than in neighboring France. Different enough from your usual Spanish wine to warrant its own place on this list. Sherry is another misunderstood element of Spanish culture - it's not always the sweet stuff your grandmother drank. Try the full gamut of sherry in Jerez. The texture puts a lot of people off, but that's usually because they haven't had it cooked right. Get it in Santiago de Compostela for the best experience. Spain has a lot of coastlines - and much of it is adorned with beautiful beaches. And if you find swimwear too restrictive - there are plenty of nudist beaches too! No one could fail to be blown away by some of the constructions in Spain. From cathedrals that are approaching a thousand years of age to super-modern avant-garde structures, there's bound to be something to impress you.